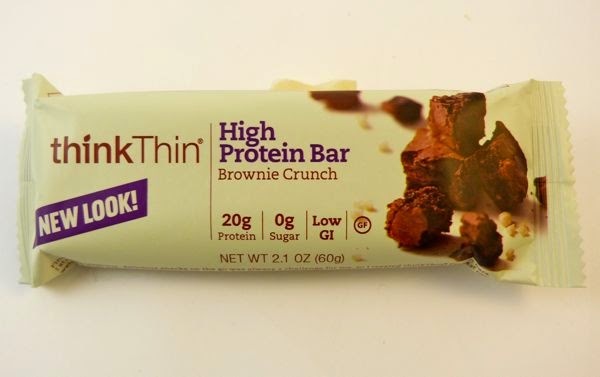 I was pleasantly surprised by this Brownie Crunch High Protein Bar, distributed by thinkThin, LLC (Santa Monica, CA). 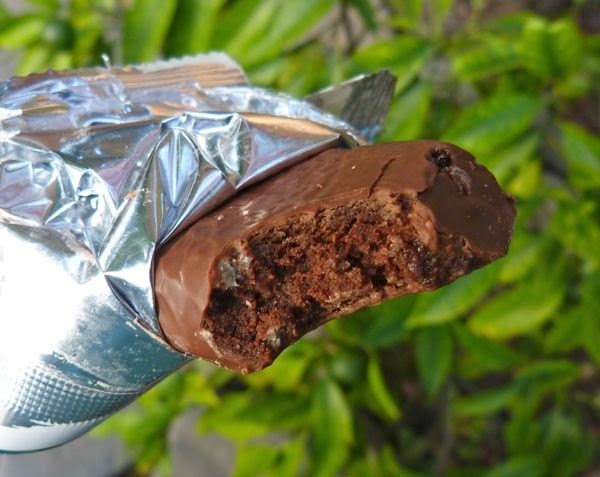 For a bar containing 20 grams of protein (a blend of whey and soy protein, casein) it was remarkably free of that slightly gritty texture and taste sometimes found in other such bars. It really did have a brownie taste, and I would say it had less crunch and more soft chew -- giving it more of a brownie-like texture.